Aimed at operators who already have an existing platform and want to add a Sportsbook product to the platform. Our cost-effective Odds Feed is a good option for operators that are looking to replace their existing solution/s. If you are looking to complement your existing Sportsbook we offer seamless integration along existing data or odds feeds. Seamless integration able to adapt to the structure of your current setup – no need to rebuild systems, website or organization. Fast Bets are minute-to-minute markets in Live betting. Time frames of 1-10 minutes betting on specific incidents to take place. Instant gratification element similar to Casino games but for Sportsbook. Engaging customers while driving volume and revenue. Customers place bets on whether incidents will take place within a defined period during a Live sports event. This type of feature is ideal for those players who prefer a quick paced model and become bored with waiting for the match to end to see their bet settled. Markets for football matches include whether there will be a goal, corner, free-kick- goal-kick, red card or throw-in during the period. Receive data regarding Events, Odds, Suspensions, Settlements, Score, Translations and various meta data through well-structured messages in feed. We use TCP to send data which guarantees fast and accurate delivery. Through our service operators subscribe and receive well defined messages in feed. Connect to the service by TCP and start consuming data through the feed. The Odds Feed can be adapted to existing structures of current setup – no need to rebuild systems, website or organization. Betting Promotion have successfully traded on major market places globally since 2003, using our own funds. Odds in feed are derived from this trading using our algorithm based high-frequency engine adjusting prices within a faction of a second on any market move. Ensuring high quality odds! Many Sportsbook solutions use market averages from a broad sample of sources or rely on copying a specific source. That type of solution would get beat in the fast-paced high-volume market places we trade on. If our odds are off, we lose money. With our algorithms and ability to respond to market changes quickly we manage to stay profitable in the toughest environments in Sports Betting. The odds in feed are derived from the trading engine ensuring profitability for our operators! Large coverage in Pre-live with 35,000+ events per month and in Live 25,000+. Complete with settlements, statistics and data. 2000+ different markets offered across all sports. For example, 160+ markets on Premier League football. 55+ different sports Pre-live and 20+ different sports Live. Our offering is ever expanding, we are constantly looking to implement new sports and markets. Betting Promotion started covering esports as early as 2014. To date we cover 20+ different esports and up to 30+ markets. We handle everything for you! The entire lifetime of a sports event. From Event creation to Settlements of all markets. The team at Betting Promotion and our dedicated account managers are there to support our operators 24/7. Our Odds Feed is accessed by socket connection from operator application. Subscription is initiated by connecting and authenticating to service. Hostname and port to service is handed out by our development team. Messages are pushed over TCP. Operator simply connects to the service by TCP and starts consuming well-structured messages in the feed. For complete technical information regarding setup and structure of messages please contact sales and we will provide you with all relevant information regarding the Odds Feed. Let us know if you are interested in getting a test account, we are more than happy to set this up for you. Why Betting Promotion Odds Feed? Betting Promotion trade for hundreds of million Euros every year in the most competitive market places in the world – using our own funds. We have been doing so since 2003. Our algorithm based high-frequency trading engine adjust our prices within fraction of a second on any price move. This pricing information is what we provide through the Odds Feed. No other feed will be able to deliver the same odds quality! Our Odds Feed is cost effective and we deliver odds fast and responsively to improve the operators product and the customer experience. Easy to integrate saving you time. One source and lightning fast protocol guaranteeing delivery of data in real-time. We have an in-house team of traders and developers with comprehensive knowledge in data gathering, odds algorithms, market marking and breadth of expertise in sports betting and sportsbook. Making us truly effective at what we do! Why should I use Betting Promotion Odds Feed rather than build my own? Betting Promotion have stayed profitable in the toughest Sports betting environments since 2003. Our algorithm based high-frequency trading engine adjust to market changes within fractions of a second. This pricing information is what we provide through the Odds Feed. That is the different of being able to deliver a feed that is so correct that you will be able to realize the theoretical margin even from your singles – no other feed will be able to deliver this. High quality odds, fast real-time settlements increasing chance of winnings reinvested. We handle everything from Event creation to settlements of all markets. For any iGaming business ranging from established to start-up, the resources and costs needed to set up such a comprehensive Odds Feed from scratch would be significant. The data and experience we have gathered since 2003 while trading in the most competitive markets places in the world is invaluable. How fast and responsive is Betting Promotion Odds Feed? We rely on the latest info and data in order to stay profitable in our trading. This in turn became a benchmark for our Odds Feed. The same data we act upon in trading is delivered through the odds feed, ensuring fast and accurate delivery through TCP. Our data is fully automated and customizable. Integrated using XML and delivered through TCP. Prices are updated continuously during the lifetime of events and during matches in Live. Real-time checks are being made for fixture changes and updated accordingly. Settlements are being made in real-time for all markets provided in both Pre-live and Live to ensure player satisfaction and increase the chance of winnings being reinvested. Can we use Betting Promotion Odds Feed together with existing feeds? Our odds Feed can be utilized as an independent Sportsbook solution and is easily integrated, or it can be added as a complementary feed to your existing feeds. It can also be accessed as part of our Fully Managed Sportsbook. 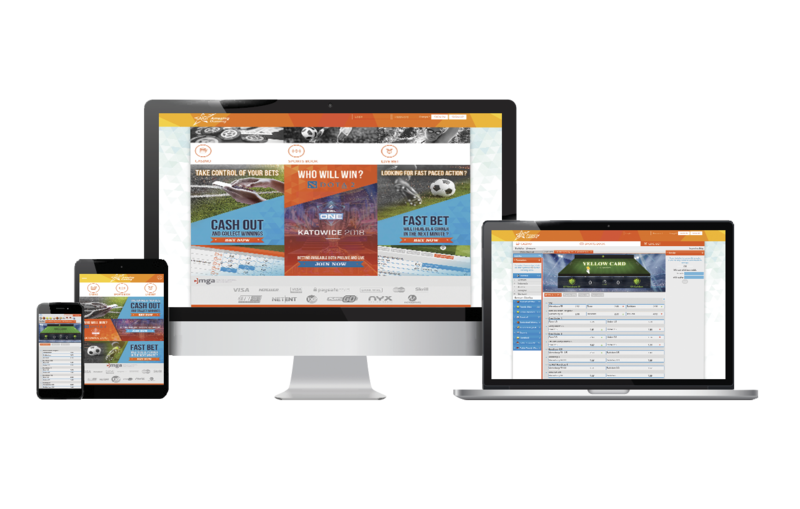 The Betting Promotion Odds Feed was developed having you and your business in mind, constructed with the knowledge that your business might be tightly integrated with out providers. Adding a new provider can be challenging and our solutions are constructed to be flexible and easy to adapt to your specific requirements. Can we customize the Betting Promotion Odds Feed? What is included in Betting Promotion Esports offering? We have provided esports since 2014 and put a large focus in this area considering the demand and huge potential in revenue stream. We cover 20+ different esports including Dota 2, League of Legends, Counter-Strike:GO, Starcraft 2, Overwatch, Rocket League, Hearthstone, Heroes of The Storm, World of Tanks, King of Glory, Call of Duty, Halo, Street Fighter V, Starcraft BroodWar, Warcraft III, Clash Royale, Vain Glory, FIFA, SMITE and latest Playersunknown’s Battlegrounds. How is the Betting Promotion Odds Feed supported? To ensure reliability and a peace of mind we have a dedicated team along with dedicated account managers that is available 24/7 through chat and email support to provide technical and general support.